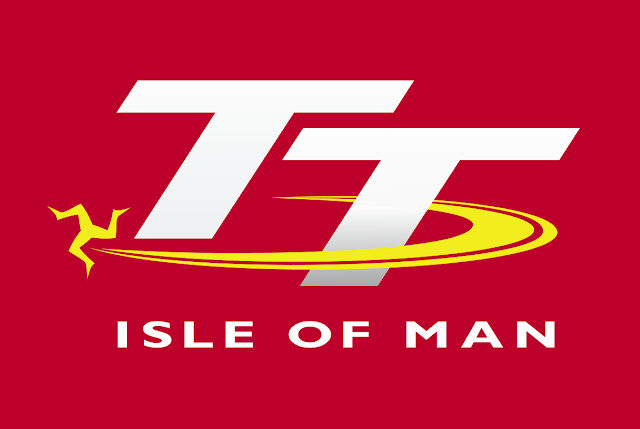 Like many of you, i was too confused what exactly is Isle of Man TT, having seen so many posters and videos on youtube, i was too attracted and wanted to know inside out everything of the Race/sport. I believe i can get you through everything since i have studied and gained enough knowledge of the TT. I'll simplify/explain each & every aspect of the TT here. a Title that is beyond well deserved. The Isle of Man is a small Island located between England and Ireland in the Irish Sea. It is known for being a tax haven and vacation destination for 50 weeks out of the year, but for two weeks every summer its home to one of the most dramatic and daring races in history. 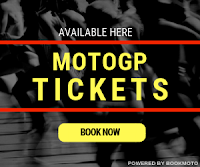 Every June racers compete on closed public two-lane roads at speeds exceeding 340kmph, making it one of the most dangerous motorcycle race in the world. The topography ranges from climbing seaside hills to flat meadows to dense forests, sleepy villages The roads that traverse the island go through all of these features as well as the various towns and villages with the largest being Douglas, the island’s capital. Most TT Racers hold down regular day jobs for the majority of the year. Two fairly examples being (former) Australian TT racer Cameron Donald who works as a plumber, and current super star Guy Martin who works as a truck mechanic. So while today's GP(Grand Prix) racers enjoy hefty paychecks, those that compete in the TT do it for the fun, to be part of a tradition and hopefully win the prestigious road race of them all. The only racers who actually profit money or even break-even, are those who finish in the top three. While Sponsorships help ease the cost of competing, those who come here, often do it for the love of motorcycle racing and not fill their pockets. Only after a handful of seasons in road races such as the NorthWest 200 and Ulster Grand Prix, can gain you the eligibility into the TT. Just to get on the grid at the TT is a Monumental feat. John McGuinness is the unmistakable king of the mountain, has 23 TT wins & second only to the late, great Joey Dunlop, who has 26 TT victories. 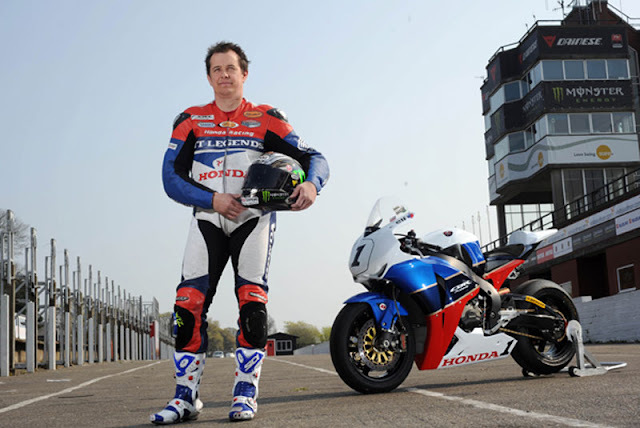 McGuinness is the lap record holder with an average speed of 131.578mph. There are five major classes: Superbike, Senior, Superstock, Supersport and Lightweight. There is also the TTXGP, which was introduced in 2009 for Electric Prototype Motorcycles. The Superbikes are pure racing thoroughbreds and the manufacturers throw everything at these bikes, they are derived from production road-going litre class sportsbikes but you can change a lot of things including the swinging arm, suspension forks and internals, gearbox, & quickshifter.. 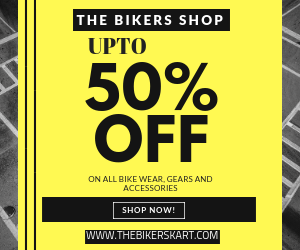 The Superbike and Senior races take place over 6 laps which almost lasts for 2hrs with just 2 pit stops for fueling and tyre change..
1000cc Bikes, and are not too far off the machines you can pop down to your local bike dealer and buy. Other than the exhaust system, suspension, bodywork and the odd tweak to fuelling there’s not much more the teams can change making it comparatively inexpensive yet remaining competitive. These guys will still give the Superbikes a run for their money around the TT course. The Supersport class is predominantly for 600cc machines though Triumph’s three-cylinder 675cc is eligible. 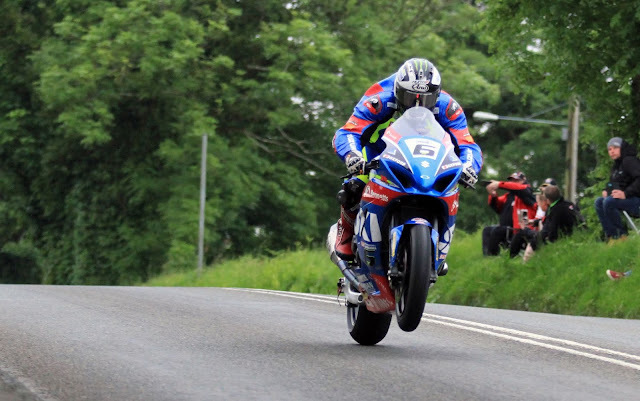 Michael Dunlop holds the lap record set in 2013 of 128.666mph. 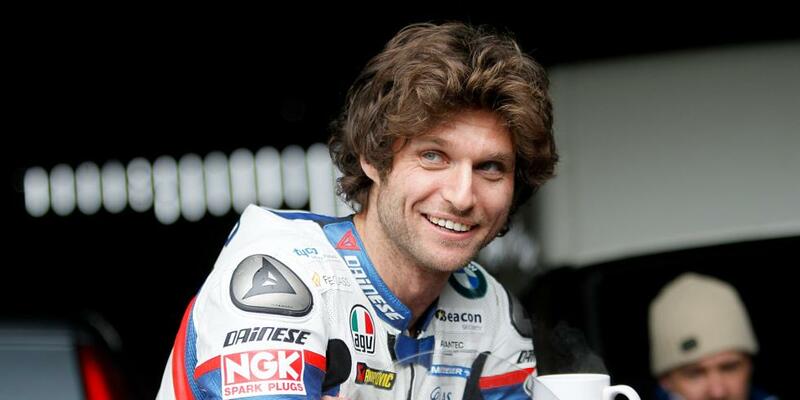 Compared to the Superbike class, Supersport teams are quite restricted in what they can do. The bikes must run treaded tyres while the chassis is pretty much stock spec. The bikes are essentially 650 road bikes with some aftermarket parts on. Teams are given plenty of licence to make changes to the swingarm, replace pistons, add a quickshifter and slipper clutch and make changes to the cylinder head and internals. Because of this freedom it makes this class one of the most expensive. The 37.73 mile TT course has over 200 turns for its competitors to memorize. The circuit’s elevation goes from sea-level to 1,300 feet. This means riders must memorize every one of the courses corners, if a rider confuses turn 183 with turn 184 - that may be the difference between crashing and saving a split second off their lap time. Because of this most experienced riders feel it takes roughly three years to memorize the TT course. Unlike a closed course track, the asphalt were not built for the purpose of racing. Instead, the roads that make up the legendary the TT course are maintained by the public works department, they’re rough, uneven and consist of various surface types. 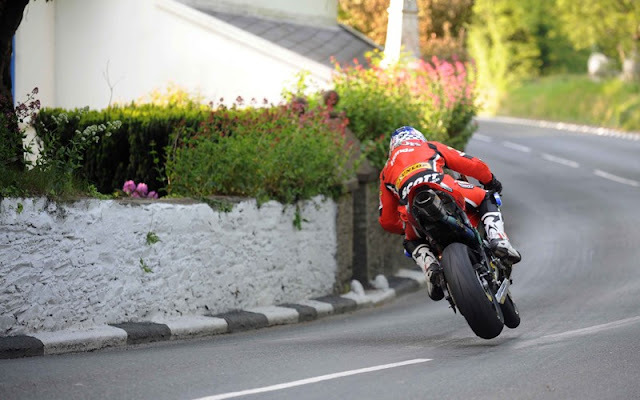 Adding to bad, what worst is things like curbs, stone walls, lamp posts, trees and buildings, line the entire TT course. These things cannot be removed for the races and as a result they present a very real danger to the riders. 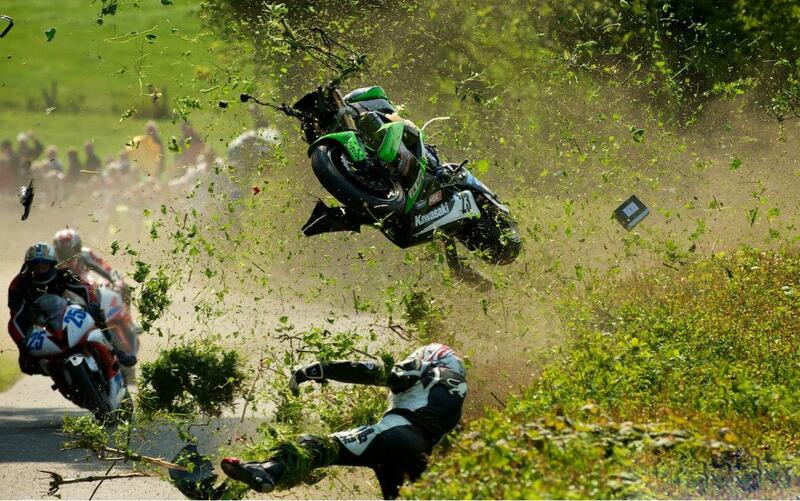 This is essentially what makes the Isle of Man so dangerous. It’s a combination of racing on public roads lined with objects no rider wants to collide with, a ridiculous number of turns. As the machines became faster and faster and the years went on, there have been more and more competitors who’ve lost their lives on the famous mountain course. So it’s no surprise that pushing a motorcycle to its limits on country roads has resulted in tragedy more than a few times. Since 1907 a total of 251 lives have been lost at the TT. Of those 251, 146 of them were official competitors. The remaining 105 were the people who were there to have a glimpse of action (spectators who were in the wrong place, at the wrong time). Attendance continues to grow year after year, with no signs of slowing down. The TT is without a doubt one of the most fascinating, exhilarating and unique races ever held and its future is sure to live on through the next generations of fans and competitors.